To create its upcoming title Control, Remedy Entertainment had to give up exactly that. "When you look at all our previous games, you always started off from a place of realism, believability," Kasurinen says. "We take something people understand and can relate to, and then we make it a bit weird. But with Control, it's right from the get-go kind of strange, so it's even more important for us to retain that believability. Even though we have supernatural abilities, there is still a believability to it. For instance, we still want to obey the rules of gravity. Even though you can telekinetically pick things up, things have weight, momentum, and impact." "We take something people understand and can relate to, and then we make it a bit weird"
Kasurinen continues: "It's important for us that this game doesn't feel like you're doing spells, creating fireballs. In [other game] worlds, those things are static and passive ideas. Nobody even asks the question of, 'What is that thing? What is happening and why?' We want Control to feel real and avoid that kind of passivity." The importance of the player finding the game believable factored into its visual identity as well, with Remedy creating the game's primary setting, the Oldest House, from a grounding in brutalist architecture. "Brutalism has simplicity of form, honesty of materials, like steel, glass, concrete -- you can understand it," Kasurinen says. "What you see is what you get. That's good for gameplay as well, because people in reactive environments understand how these things should react, so it's predictable and understandable." This grounding in the instantly familiar environment of an office building leaves plenty of room to introduce the "weird" element Kasurinen mentioned before as the game's primary antagonist: a mysterious foe called the Hiss. When the Hiss invades the facility, everything from the building to the people to the rules can shift at any time. Kasurinen says this affords Remedy ample opportunities to experiment with themes like order versus chaos, old versus new, and secrets versus truth as the Hiss distorts, warps, and confuses the previously comprehensible nature of the building. All of these ideas from Kasurinen's presentation have a common thread -- or rather, they're lacking one. None have anything to do with the game's story itself, but they are touch-points for Control's universe and lore. That's a dramatically different approach, Kasurinen says, from how Remedy has operated in the past. "We had to go through a bit of a culture shock, a paradigm shift," he says. "We had to rethink how we were going to approach doing this game. And the first thing we had to look at was how we approach telling stories. We had always started things off with, 'Who's the protagonist? What do they hold true? What is their basic arc, start-, and end-point?' And so on. And then we'd build an entire game around that. "It was important to us that this be a world that can support many stories, not just one story"
"There's still a main campaign. It's what we're known for; having a compelling story arc and an interesting character that you want to follow and see what's going to happen next. We have all that good stuff that we always do, but on top of that now we have side missions, exploration, other things you can do as well that might not have anything to do with the campaign, and that's the point. There's richness in the world. That was a big change for us and how we look at making games." Given that Quantum Break, Alan Wake, and other Remedy titles had been so well-received, why go through a paradigm shift in the first place? 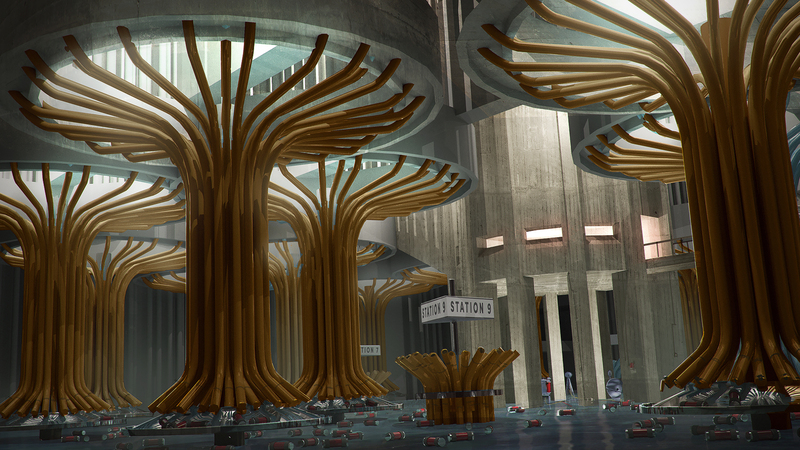 Part of it, Kasurinen says, was simply a desire to change and freshen the studio's perspective. But part of it came out of necessity. "Story is important for us, but with this game especially it was important for us to create a world that feels vast or more complicated; a place you can return to that feels expandable, a foundation for the launch of ideas. It's not just a game that you take, play for one night, and are done. When you look at our previous games, that's what they were, and it's tricky to do games like that from a business perspective because those games easily become rentals. "It's tricky to do games like [Quantum Break and Alan Wake] from a business perspective because those games easily become rentals"
"Here, we wanted to sustain engagement further so there's a reason to keep playing. We shifted a bit when you look at where we put our energy and time. Before, we put a lot of that into the story, like when you look at Quantum Break... [Control is] more about gameplay and exploration. The story's still there, it's just told in a different way. Instead of putting time into complicated cinematics that are more passive things you just stop and look at, we want storytelling to be active." That said, Remedy intends to stick in principle to what its famous for: single-player games focused on storytelling. As an independent studio, Kasurinen says there's always pressure on Remedy to stand out in a crowded market of games, especially given that the studio only releases a new game every few years or so. 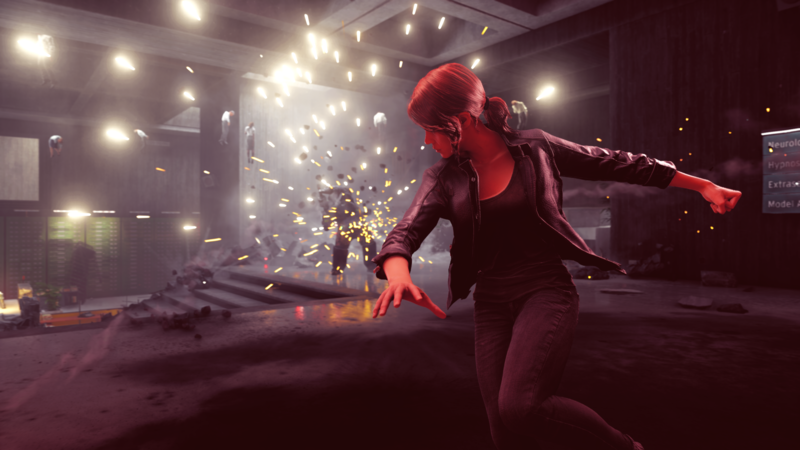 But he believes Remedy's storytelling strength, particularly in an industry that's moved away somewhat from single-player, story-driven experiences, will ensure its games are noticed. "It's a tricky balance to stick to what you believe in, and there is always pressure to get things done. There are business factors, creative factors, where the industry is heading and what things resonate with people, and so on. But at the end of the day, Remedy is an independent studio. We need to stand out, we need to be creatively independent as well and do the things we believe in. It doesn't make any sense for us to compete with massive games like Red Dead Redemption or Assassin's Creed. Doing our own thing is important to us." At surface level, Control doesn't appear to be doing anything mind-blowingly different in terms of its bullet-point list of gameplay features. Third-person combat using a mix of shooter mechanics and skill-based powers has certainly been done before, but Kasurinen says that isn't what he means when he talks about standing out. "It doesn't make any sense for us to compete with massive games like Red Dead or Assassin's Creed"
Rather, aside from the game's story and visual design, Remedy approached Control's world as more of a sandbox than the carefully choreographed, moment-to-moment structure of its previous titles. The sandbox structure, Kasurinen says, allows for more player agency, but avoids the pitfall of just seeming "random," which would make it impossible to tell a good story. "Previously, we approached games almost like making movies," he says. "We prepared every single moment. For every scene [we] very carefully decided which enemies to use, where the player is, what weapons they have, and so on. But this time we can't do that. We want to let it go. "We created a new AI system. Enemies decide for themselves what they want to do in any given situation. They are very dynamic, they can react to almost any situation. Then we have a reactive environment as well that can change or be used as a weapon. You have a number of different abilities and mods and weapon forms, and you choose which ones you want to use. All of these form together a more sandbox experience. We're not in control of that." Kasurinen mentions this struggle to effectively relinquish "control" of its story and game world to the player multiple times during our conversation. That experience has proved to be a catalyst for growth for Remedy, giving it a new starting point for future projects. "Culturally, we're so used to the idea that we need to have a story before we can do anything else," he says. "And being able to say, 'No, let's not worry about the story just yet. Let's look into the world, ask what this place is that we want to create, look at the different types of gameplay we have, and put extra effort into that,' was culturally hard. But it was necessary. "We've done games in a certain way for almost 20 years. It's not easy to switch your thinking. But now that we've done it, I think it's very healthy and good for us, and allowed us to look at making games in a different way."